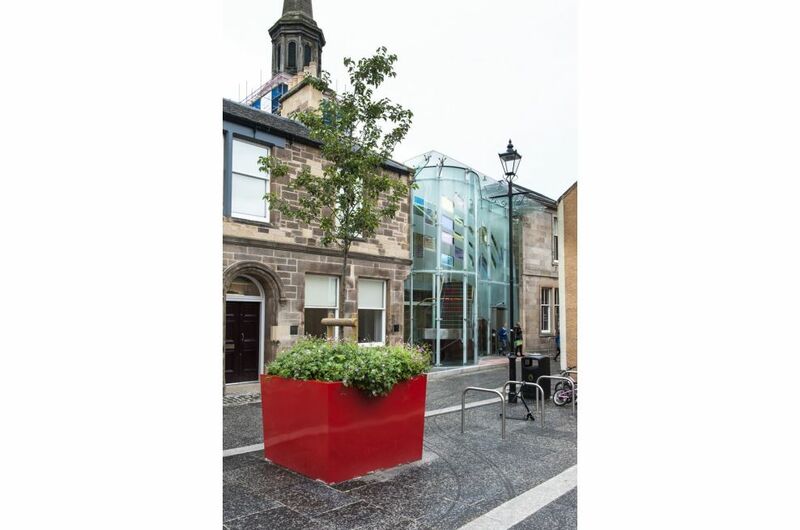 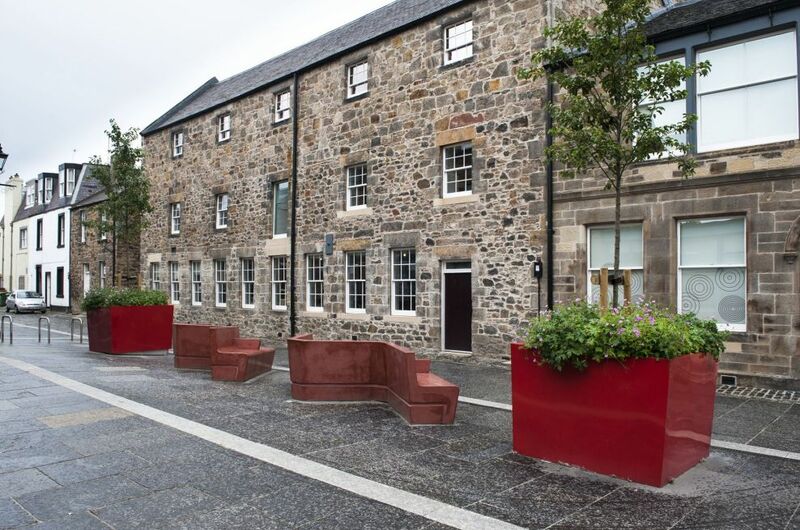 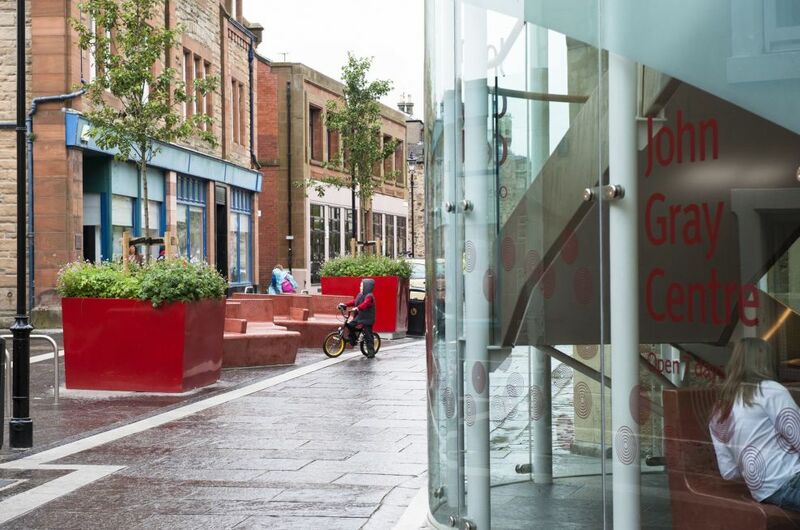 Three large tree planters in steel were commissioned for the John Gray Centre in Haddington, opened in 2012 to bring together East Lothian’s archaeology, museum, archive and local history services. 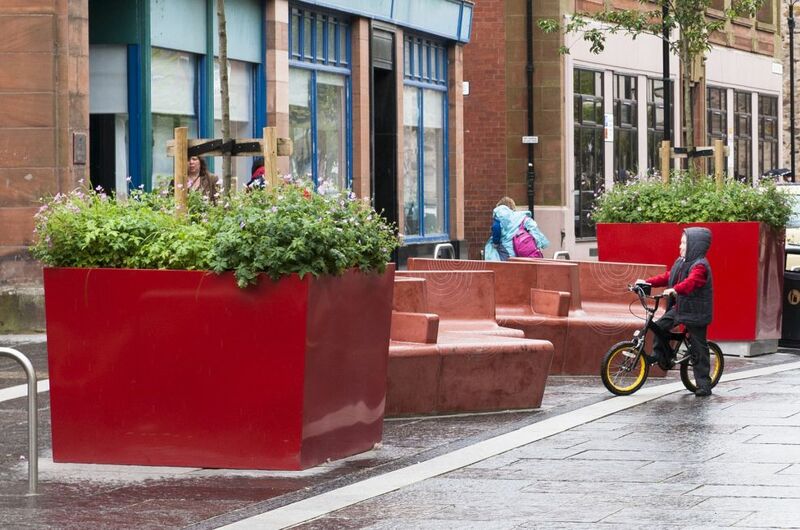 The planters are L 1550 x W 1550 x H 1100mm at the top, with a slight taper to the bottom based on a 10 degree slope. 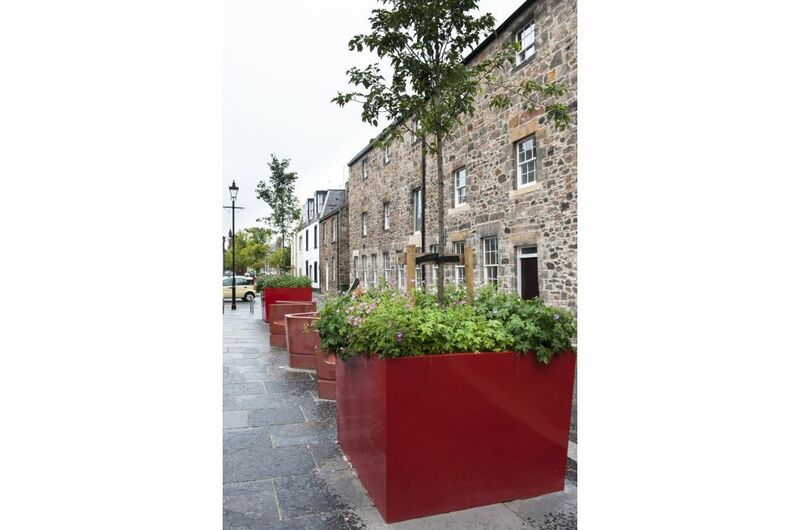 The planters were fabricated in 1.5mm thick pre-galvanised steel, powder coated to RAL 3013 [Tomato Red].